This is the first of a two-part series, this one featuring the cloud hanging over Danny Granger’s future with Indiana. Click here for part two. With already 21 wins, it’s easy to forget that the Indiana Pacers haven’t been at full strength this season. That is, until Danny Granger came off the bench last night after missing the first 25 games of the season with a strained calf. In a contrast of styles, the Pacers beat the Rockets by 33, coincidentally the number on Granger’s jersey. Granger finished with only two points on 1-for-7 shooting, but he showed the potential of getting back to the player he used to be. Not since 2012 has he looked like himself, when the Pacers were nearly 12 points better per 100 possessions when he was on the court, according to NBA.com. He led them both in scoring and usage rate for both that season and, at the time, their most memorable playoff run in years. Indiana wasn’t the same when he was on the bench, a bottom-five team in scoring efficiency and mediocre defensively. But that was 2012. Look around the league and you’ll notice every team has gone through major changes over the last two seasons, and Indiana’s no different. 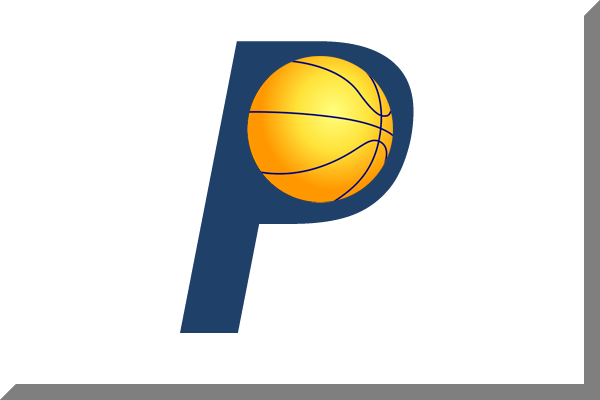 Some Pacers on the 2012 roster were Darren Collison, Dahntay Jones, Leandro Barbosa, Jeff Foster, and Jeff Pendergraph (who’s now Jeff Ayres). Back then, Collison started ahead of George Hill while the rest made up a good chunk of the bench, one that’s now revamped with newcomers like Luis Scola and C.J. Watson, among others. Indiana has also improved from within. This is no longer the Granger-led team from 2008 to 2012, the latter season being the one when Lance Stephenson was a go-to guy in garbage time (he even had a 45.8% usage rating in the playoffs). He’s become a proven, reliable shooting guard since then and can compliment the starting lineup and/or leads the second unit. Meanwhile, Roy Hibbert has become a defensive monster that’s lived up to his new contract. The improvement that impacts Granger the most, though, comes from Paul George who, after faltering in the 2012 playoffs but breaking out in 2013, is now Indiana’s starting small forward until at least 2018. It’s an awkward spot for Granger who was Indiana’s first franchise cornerstone after they traded away nearly everyone involved in the Malice at the Palace. They’ve become a title contender without him and, in the process, have a small forward who’s having a better season than he ever had. And Granger might not be around much longer, currently in the last year of a five-year deal worth $60 million. Given his recent injury history, his likely role off the bench this season and the $14 million he’s making this year, his next contract will certainly be cheaper. Indiana has only so much room to maneuver without dipping into the luxury tax, and any money thrown at a Pacer this summer will likely be given instead to Stephenson (which has been discussed here). He’s seven years younger than Granger, the only other impact player coming off the books, and the only starter without a long-term deal. Given the improvements Stephenson’s made in his first four seasons, Indiana might not even be able to afford him either. But Paul George had some highlights of his own, including a fast break dunk that brought the house down. He led the team in scoring all while hassling James Harden on the defensive end, a typical night from one of the premier players in the league. At one point, Granger was one of those guys. How much of Granger’s future involves Indiana remains to be seen. He might even be gone before the trade deadline. It would be a cruel ending to his career as a Pacer, but the NBA is nonetheless a business. The best scenario for both sides? Indiana lets Granger walk this summer, but only after he plays a pivotal role in helping the franchise win a championship. It would be a fitting end for a player who helped rebuild the Pacers from the bottom up, even if they may have won without him. Just another reminder: This post isn’t meant to crap on Indiana’s great start by looking ahead to the trade deadline and summer. The next post will be devoted to some interesting lineups Danny Granger can be featured in. ← Are the Spurs the NBA’s Monstars?